Through social media, earned and paid media, and event marketing we connect you in new and innovative ways to the audiences that crave your brand. Large or small we can work together to get you the eyes and hearts you are looking to capture. Through our Experiential Marketing tactics we are able to get your brand in front of thousands of hungry consumers in your key marketing areas and in front of a vast digital audience who is craving your content. Food Product Collaborations, Sampling Tents, Branded Activations, Customized Food Festivals, National Food Festival Circuits are at your disposal. 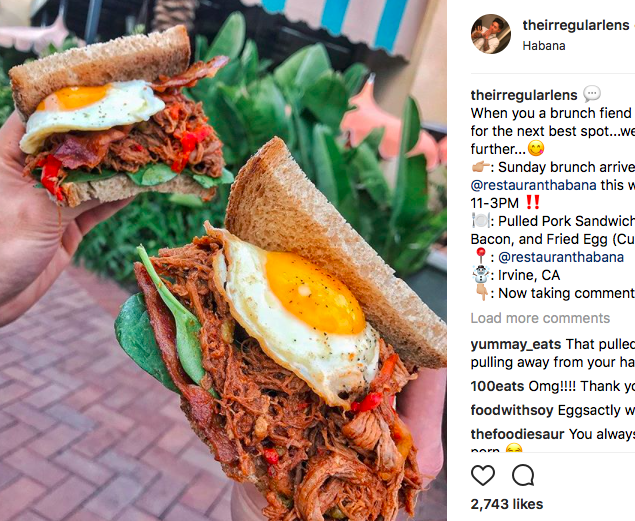 Shown above: @theirregularlens showing a custom made item at the Influencer Event for the Launch of Brunch at Habana at The Irvine Spectrum Center. 230 media in attendance. We use a balance of earned and paid media, our content creation and social strategy to reach the people that mean the most to you. Shown Above: KTLA segment of Nissin x Foodbeast Noods Noods Noods event. Shown Below: The Blind Rabbit from the Anaheim Packing House in an Earned Media feature on the front cover of the food section of the Los Angeles Times.